EPSA is the European umbrella organization of pharmaceutical student associations. As a member of the K.N.P.S.V. you can become active on a European level at EPSA, for example by becoming a member of one of the Departments. You can also help to implement a project in the Netherlands that is implemented in different European countries. In addition, you can participate in various EPSA activities like the EPSA Annual Congress in April, the Autumn Assembly in October, EPSA Summer University in the summer and the TWIN program (an exchange project for groups). Via EPSA you can get into contact with students of pharmacy or pharmaceutical sciences from all over Europe. You can find out how the study is organized in other countries and get to know students if, for example, you go to another European country for a while. More information about EPSA can be found below. You can also take a look at the EPSA website: www.epsa-online.org. 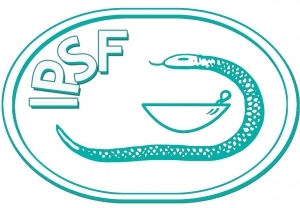 The International Pharmaceutical Students’ Federation (IPSF) was founded in London in 1949 by eight pharmaceutical student associations, of which the Netherlands was one. The federation now represents about 350,000 pharmacy students and is active in over 84 countries worldwide. IPSF is a non-governmental, non-political, and non-religious organization with the objective of promoting the improvement of public health through the provision of information, education and a series of publications and professional activities. In addition, it also promotes international cooperation between pharmacy students. Students today, pharmacists tomorrow. The IMP is an internship program of the European Pharmaceutical Students’ Association (EPSA). In early 2013, the K.N.P.S.V. started up the IMP in the Netherlands. So far, 22 European countries have participated in the project. The idea behind the IMP is to form the link between talented, motivated (bio) pharmacy students and leading pharmaceutical companies. It can be difficult for students to find an (international) internship and vice versa for companies to get in touch with a high-quality intern. The international committee of the K.N.P.S.V. organizes different activities, such as the international evenings and the TWIN.